Not hugging trees or going organic. 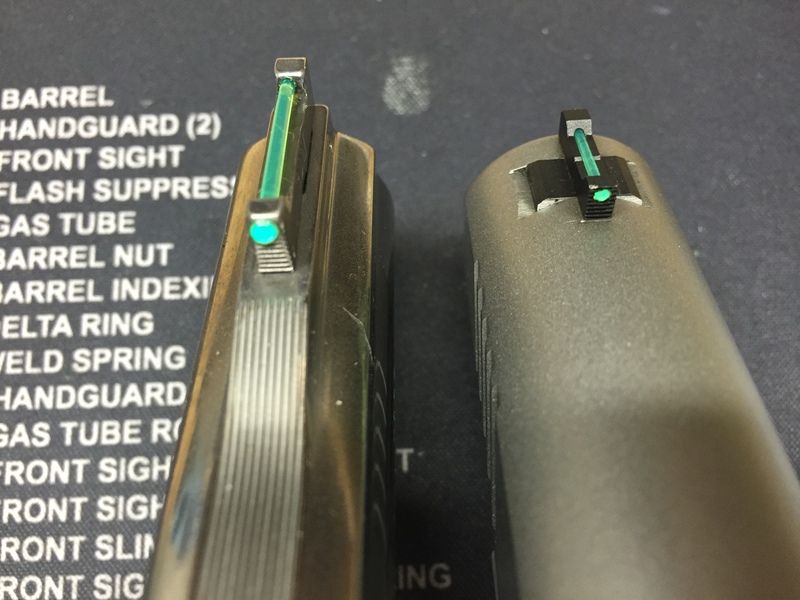 I’m talking about fiber optic sights. I’ve always been a fan of using red fibers in my front sights for all my guns until I started shooting a red dot sight on my Open Division gun. I’m so used to looking at a red dot with both eyes open and hitting where I place the dot (most of the time). 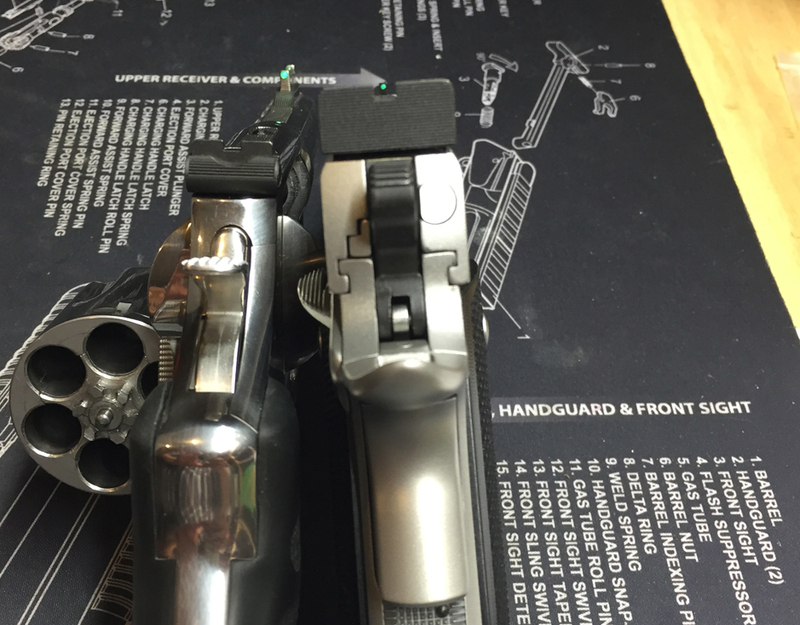 The problem comes when when I switch to another gun like my S&W 625 revolver for IDPA or USPSA, Kimber TLE RLII for single stack. 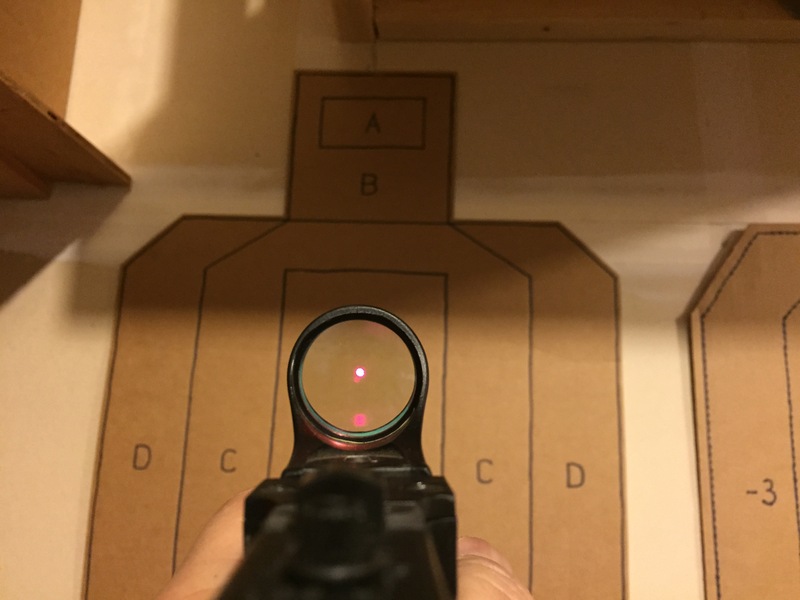 I’m so used to looking at the dot that I forget that I need to align my rear sight. I’ll place the red dot where I want and pull the trigger wondering why I’m not hitting the target correctly. So, I’ve decided to trick my mind with a simple color change 🙂 Switch my fibers to green and voila! Now I would remember to align my rear sight because it’s different enough from my red dot.